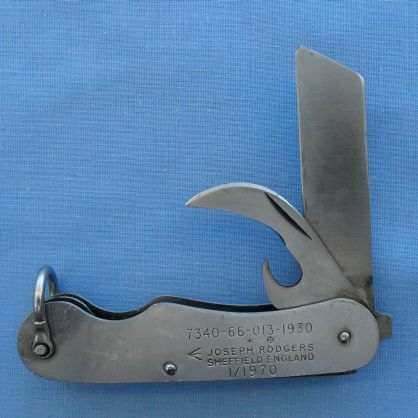 During the 1970's, Joseph Rodgers supplied the Australian Military Forces with two model clasp knives. They are a 2 blade knife and a 3 blade knife in stainless steel. These knives were made in Sheffield, England. 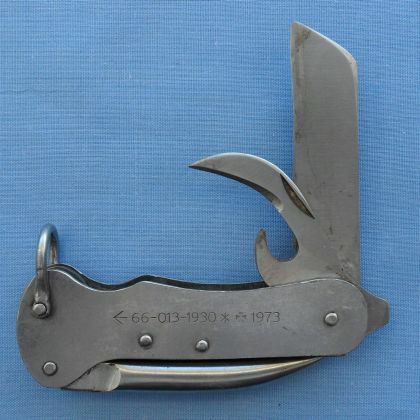 This knife has been noted with the dates 1/1970, 4/1970 and 6/1971. This knife has only been noted with the date 1973.